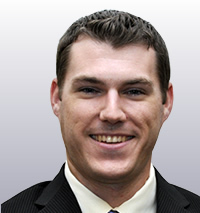 Jacob Frye has over 6 years experience including structural design, construction administration and structural inspection of a variety of project types. Project types include: Multi-story Office Buildings, Medical Facilities, School and University Buildings, and Renovation and Restoration Projects. Jacob has a major role in the computer design and detailing, as well as the building information modeling of many of the firm’s projects.